We have said so many times that we should do a Harold and the Purple Crayon Chalk Art. And so we finally did! There is just so much you can do with the inspiration from this favorite book! We have loved Harold and all his adventures since our Five in a Row days. And so, one afternoon this week, we pulled out the chalk pastels. Just like Harold, we picked up the purple chalk pastel, and we started drawing. First, the city skyline as in Harold and the Purple Crayon. 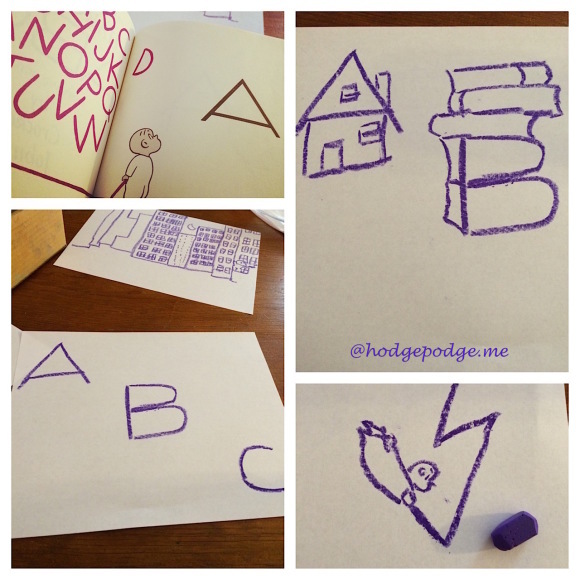 Then we each chose a letter from Harold’s ABCs and made purple chalk pastel pictures from the letters – just like Harold did! And still there are still so many more we can do! 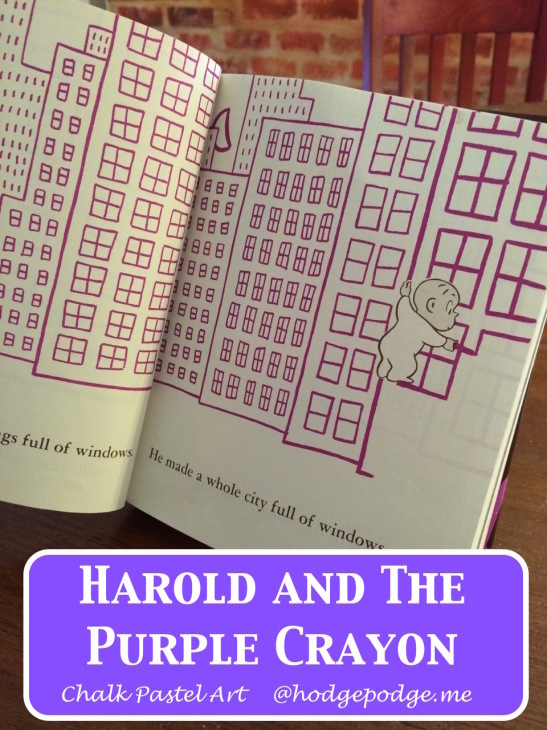 I encourage you to pull Harold and the Purple Crayon off your shelf or pick it up at your local library. 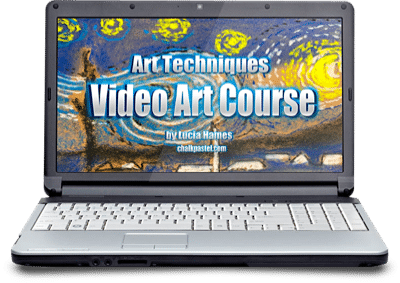 Then pick up your purple chalk pastel – or crayon – and go on an artistic journey like Harold did. Even more Five in a Row art lessons with Chalk Pastels and Children’s Books. Because you ARE an Artist! 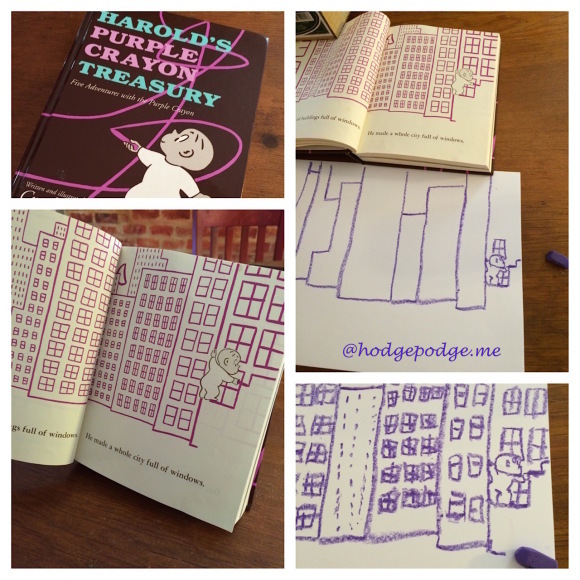 So, paint your Harold and the Purple Crayon and be sure to share with us! Simply tag @chalkpastelart on social media, use the #YouAREanArtist hashtag, or upload a photo to the ChalkPastel.com Facebook page! We have been reading Harold for the last couple of weeks. My family loves Harold and we just honestly tonite were describing our going to bed like Harold and thinking of painting a wall. Now that is a fun idea!